Nam June Paik is considered to be the godfather of Video Art, the first artist to have access to the Sony Portapak. He was a fluxus artist and worked primarily in performance and video. He died this past January and tonight LACMA and LA Film Fourum will be honoring him tonight with a TRIBUTE TO THE LIFE AND ART OF NAM JUNE PAIK – “An evening of remembrances, performances, projected video works, and rarely seen clips.” If you are in LA this is not to be missed. October is a busy month for Rise Industries. Jeremy and I participated in a performance event Interchange last weekend. Check out images online if you missed it. 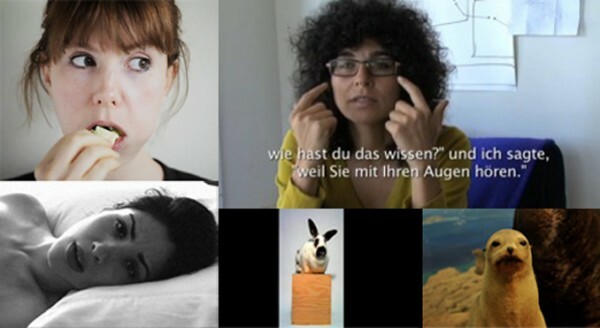 Today I have a video being shown as part of The Best of Video 825 at MAK DAY. Also tonight at Gallery 825 I have a video/sculpture in the group exhibition Things d’ Art. Oct 17 – Nov. 13: Women Trauma and Visual Expression at Woman Made Gallery in Chicago. Oct 18: Now, and Now Again at The Wedge in the Woman’s Building in Los Angeles. Oct 25: American Made at the LAtch in Los Angeles.